A New Solution for Water-Contaminated Oil Purification - ! Equipment for Transformer Oil Reclamation. GlobeCore. GlobeCore is proud to present yet another product in our range: the CMM-1CF unit. The СММ-1CF has been developed to address the issue of processing turbine, industrial and transformer oil with severe water contamination (50% and above). 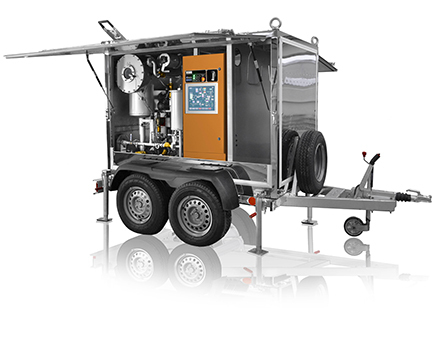 The unit can also work with diesel fuel, gasoline, kerosene and other petrochemical liquids. The СММ-1CF operates on the principle of coagulation. The processed oil flows through a special filter. Water molecules gather into droplets and flow into a settling vessel, from which the gathered water can later be drained. 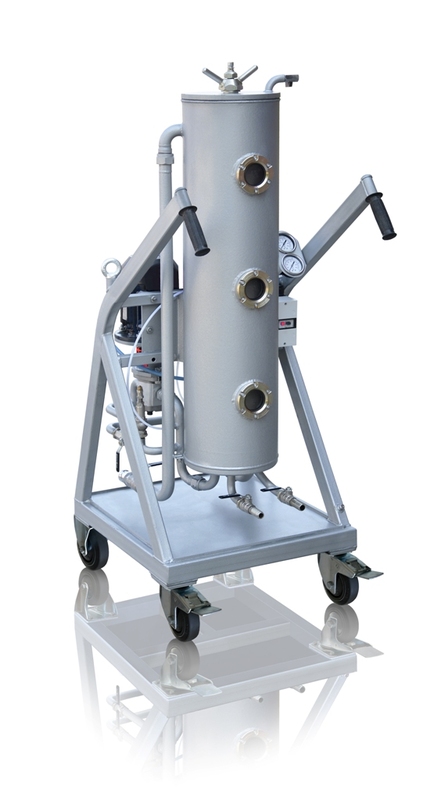 For preliminary removal of solid particles from the oil, the system is equipped with an auxiliary filter with optional filtration fineness of 1, 3, 5 or 25 μm. 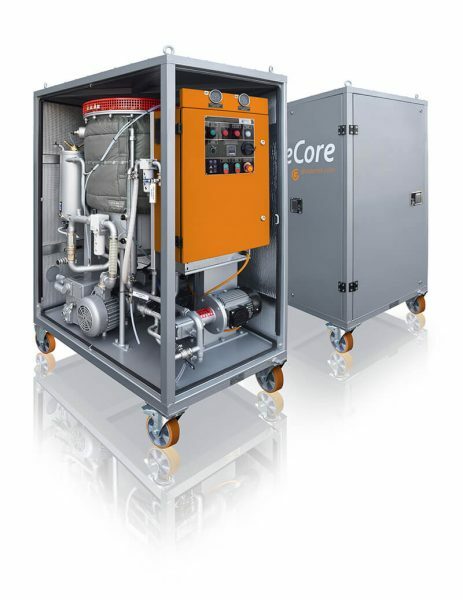 The unit is highly efficient in terms of power consumption (no heating of oil), compact size and mobility. The servicing is simple and requires no special skills from the operator. For specifications of the new СММ-1CF unit, click here.